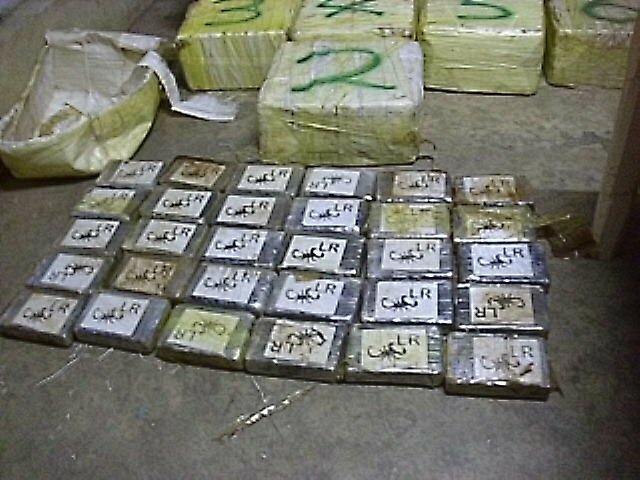 70 Bales weighing 2.6 tons of drugs: Estimated value of US$70 million. On Saturday 13th of November 2010 about 2:00am, Independence Police (ISF) received information of an aircraft suspected to have landed somewhere in Bladden Village. As a result ISF police proceeded to the area where a white van was seen coming through the area , where with the assistance of Belize Special Assignment Group (B-SAG)the van was intercepted at the San Juan Bus Stop. On board the van were the following persons. (5) Harold Usher 36yrs Boatman at Customs Department of a Finca Solana address in Corozal Town. All of the above persons were detained and escorted to the Independence Police Station along with the van. At the station a thorough search was conducted on the van resulting in the discovery of the following items: Several BDU’s with ADU markings, several wet clothing, 2 car size batteries Atlas brand , muddy jungle boots and tennis, can food , empty sausage cans, a licensed 9mm belonging to Harold Usher. The said van has been processed by Scenes of Crimes and Forensic, and items found have been labeled as exhibit. ASP Alton Alvarez, Officer-in-charge for Independence Police along with other police officers left en route to Bladden Village where between miles 56 and 57 they met BDF/B-SAG personnel. 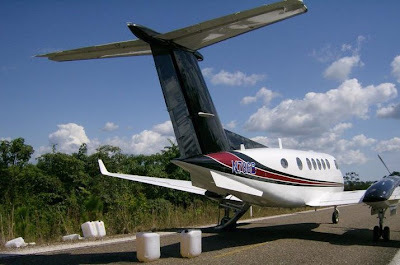 At the scene, they secured a white twin engine Beechcraft aircraft 300-FA 137 with Black, Red and White in color with number N786B Super King Air 200. The aircraft was processed for finger prints. (3) tank with about 500 gallons of aviation fuel and 3 fuel pumps. Also found were a total of 12 pine logs. (1) Colt .223 semi-automatic rifle with Sr. No. 007865 with a magazine containing 5.56 rounds and 2 pairs of camouflage jackets. 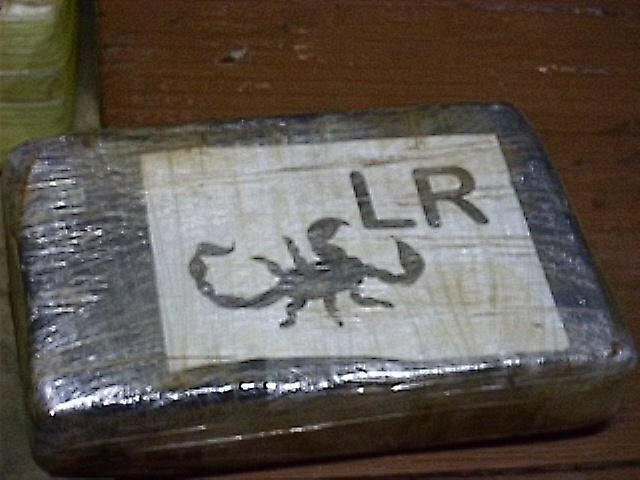 At around 5:00pm as a result of further searches in the area conducted by Police on a road at mile 65 near the Genus Saw Mill, about ¼ mile in, led to the discovery of 80 bales of suspected COCAINE and 17 loose packs of suspected Cocaine. 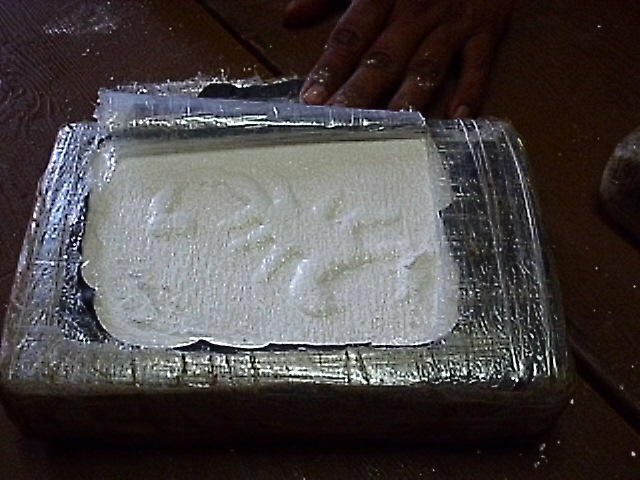 The drugs have since been secured by police and is being processed by Forensic personnel. This is unbelievable! It is so good that these traitors have been pushed in the lime light. My only hope now is that they will be persecuted to the fullness of the law. Holding on to faith that our justice system will make an example for these suspects and anyone else that was a part of a vicious circle of drugs, crimes, our youths and the safety of our country. This is what is known. How much more we hear from villagers in other parts of the country that nobody does anything about! So, I read this Article last night,and boy was I surprise!! Look what the Bz Police are now doing to make some extra cash these days!!!!! I have to agreed with Cherry. I hope they prosecute them to the full extent of the law. I hope they don't show no mercy because they are police officers. I think because they are police officers they shoud get a stiffer sentence because they job is to uphold the law not break it. What is our country coming to. This just make me sick to my stomach to think that our beautiful paradise is tanted by this mess. I can't believe that this mess is now in our lovely country. Even worse, I can't believe that such high profile officers are bringing the drugs into Belize. This saddens me to think that they would jepordize the people of Belize by bringing the mess that is cocaine into our country. Their job is to protect and serve the people of Belize, not turn them into drug addicts and provide the drugs and ruin their lives. Who are we suppose to turn to when the police, who are suppose to protect us are the criminals. Sad, just sad!!! Even if some say this cargo was destined for the US, it's wrong!! 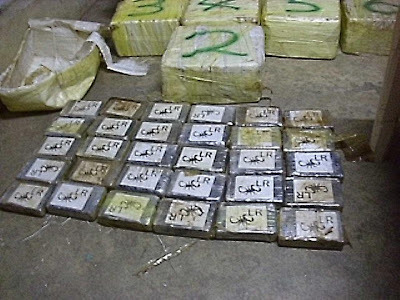 These drugs just pass through our country. A very small portion remains, but the US and Mexico are bigger buyers of this drug. The Columbians will use any method possible to get the drugs as farthest up north as possible. Belize is the best route because of our currupt politicians and even more our currupt police officers as how this perfectly demonstrates. It's a tragedy but unfortunately a reality. This is just a small picture of what is really going on in Belize. You are absolutely right Steve!! And I would not be surprise to see the people in position up to their knees in it too. If only night would turn to day instantly! !